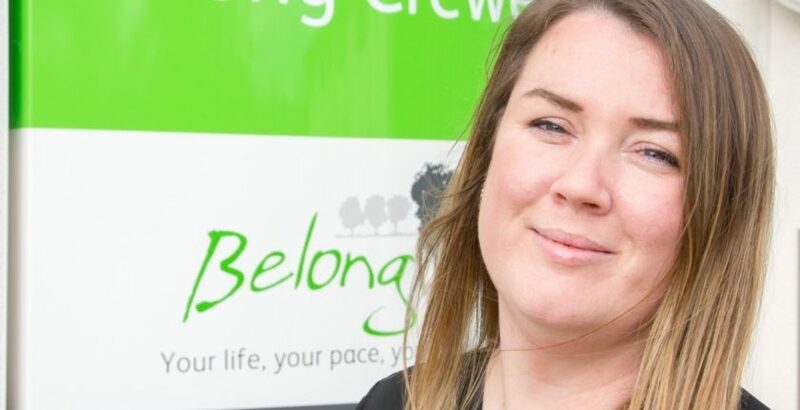 Belong Crewe care village experience coordinator Natalie Ravenscroft has been recognised as one of the 50 people making Britain a happier place by The Independent. The 34 year old, who takes responsibility for the development and implementation of activities suitable for customers of varying ages and abilities, has been included in The Independent’s Happy List 2018, which celebrates 50 outstanding unsung heroes who enrich the lives of others. Natalie said: “To feature as one of the 50 happiest people in all of Britain is such an honour; I feel so humbled and grateful to whoever nominated me. Natalie was shortlisted for the 10th national Happy List for her work organising events at the village, most recently Crewe’s first ever Silver Pride event which celebrated LGBT culture for members of the community over the age of 55.